We are serve a best Quality of garden torch which is made of high quality sheet and is available in different sizes and shapes.This is also used in the making of garden torches, both of the regular and ornamental variety. We are leading trader & supplier of Aluminium & Plastic Torches. These products are manufactured at our vendor base Eveready Torches with quality raw material. 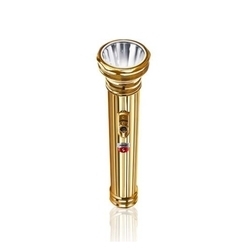 These torches are uniquely designed by our expert professionals and are light weight. Our range is available in various sizes and specifications. LXFL-0102 is a Heavy Duty Single LED Torch using 3 AAA cells.These torchaes are design for Long rang. Tested over time, the evergreen metal torches are known for their reliability and longevity. These are widely used in rural India.